In small bowl, mix cracker crumbs and powdered sugar. Stir in 1/4 cup margarita mix until crumbly. Press mixture firmly against bottom and side of 9-inch glass pie plate. In large bowl, mix sherbet, 1/3 cup margarita mix and the tequila. Gently swirl in frozen yogurt. Spoon mixture into crust; spread evenly. Cover; freeze 4 to 6 hours or until firm. Vanilla wafer cookie crumbs can be used instead of the graham cracker crumbs. 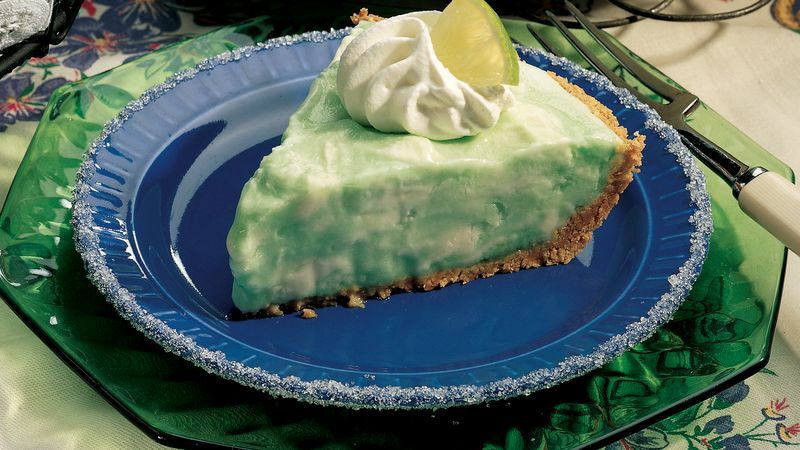 Garnish with whipped cream and fresh lime slices!